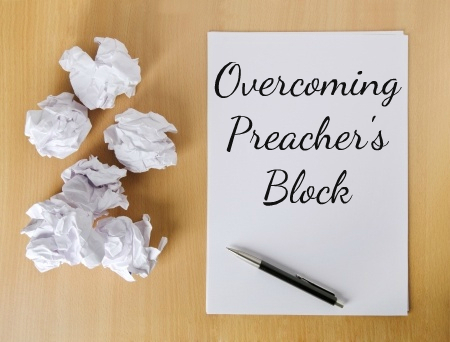 Writer’s block is a famous challenge, but I suspect preacher’s block is an equally frequent occurrence. The time ticks by and Sunday’s deadline keeps approaching. What should you do if you feel stuck? Here are eight suggestions. 1. Pray. Seems obvious, but I need to make this overt. Pray. And pray honestly. Stop praying nice little “Lord I commit this process to you for your blessing and glory” prayers. Start praying really honestly. “God, I am really struggling here! I don’t know what the problem is and I am scared that I won’t be ready in time . . .” – or whatever is on your heart. Sometimes praying something through out loud means that it is not only God hearing your heart, but you hearing your heart. Maybe you’ll end up praying about some sin struggle, or about some fear, or a false motivation driving you, or whatever. Pray as if God is able to take an honest statement or two – the Psalms and Job and Jeremiah suggest that He is. 2. Break. Sometimes the best thing to do when stuck is to stop trying to move forwards. Go for a walk, run an errand, read a book unrelated to the message, do some mindless sorting of the admin that has been piling up. You could say that any break is worth it, but maybe not. Five minutes on social media could expand to fill the next hour, watching a Youtube clip can be dangerous to your ability to focus, and beware that there is a difference between taking a break and becoming distracted in aimless, or purposeful, procrastination. A genuine break can really help. 3. Talk. Who turned preaching into such a solitary pursuit? Sometimes the very best thing to do is talk to someone about your message. Either what they say or what you say will be helpful to regenerate momentum. It could be your spouse, a friend, another preacher, a mentor. Sometimes talking about the message, the challenge you feel and what still needs to come together, will break open the logjam and help you start moving forwards again. Tomorrow I will add some more suggestions . . .